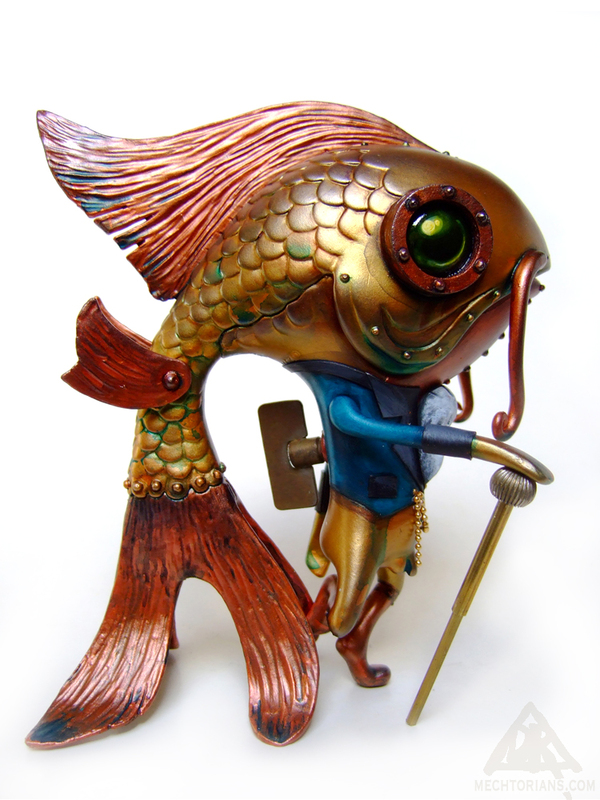 Obadiah Marsh was a tailor by trade who found he had an affinity with the sea. His small personal fortune was spent on many small alterations which over time helped him move with greater ease though the oceans of the world. His new styling and tedious obsession however made him unpopular at dinner parties and he soon found himself without friends. 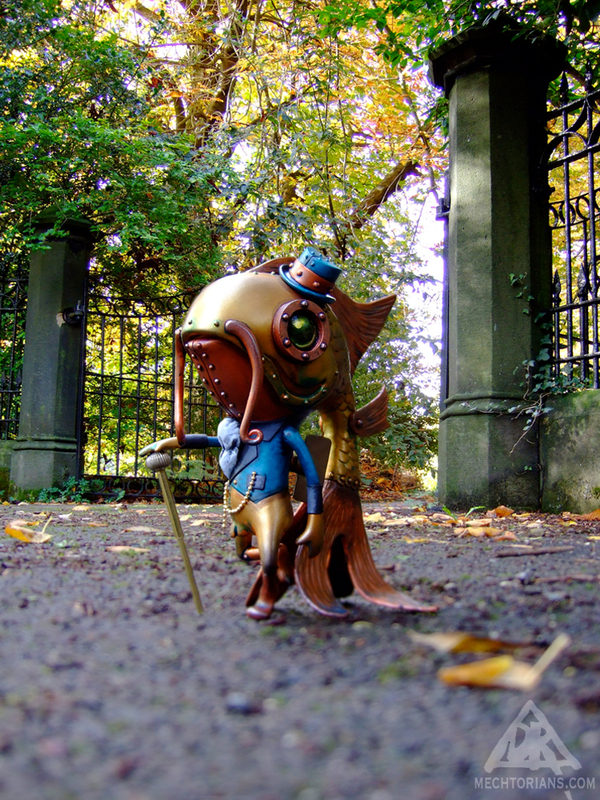 He found new friends at the Freak Show and decided to join their ranks. 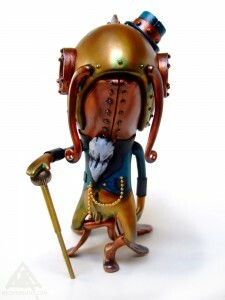 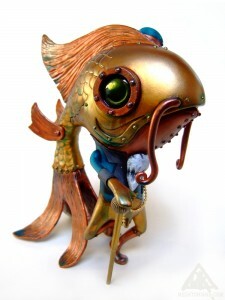 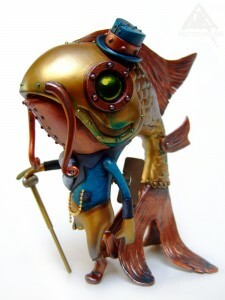 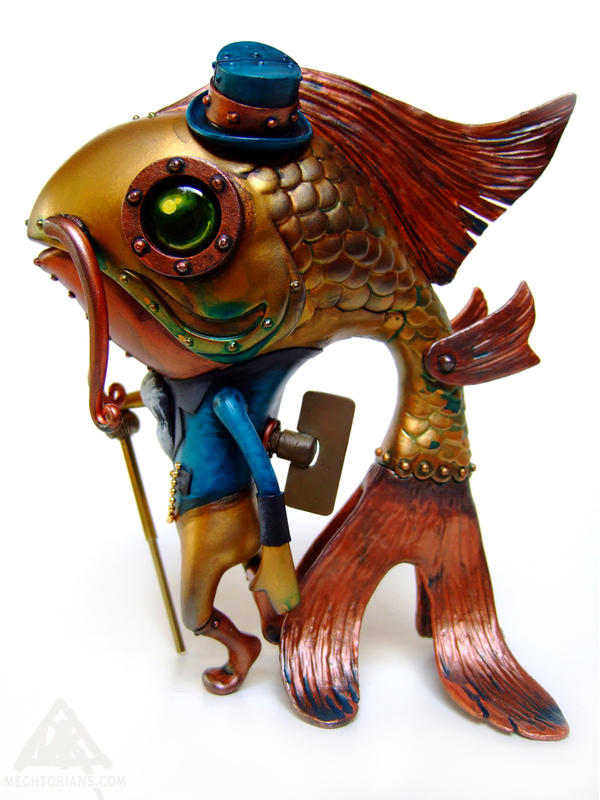 Customised Koibito toy by Munky King. 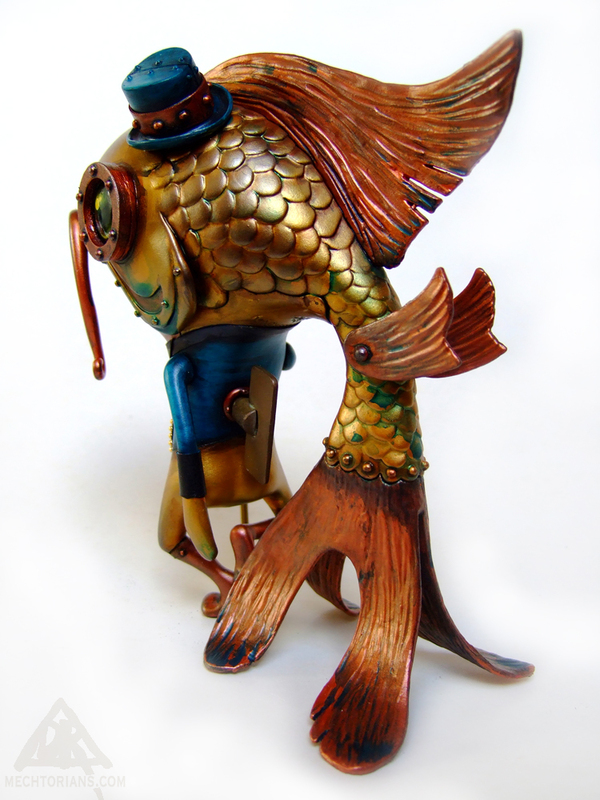 Vinyl, Rubber, Lead, Polymer clay, ABS, Found objects.